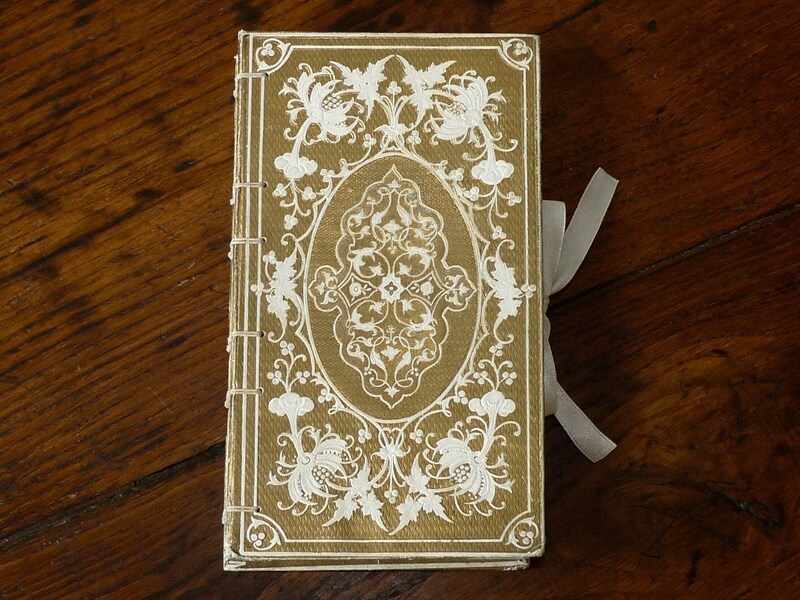 Spellbinderie offers gorgeous one-of-a-kind guestbooks made from antique French books featuring elegant covers with gold accents. 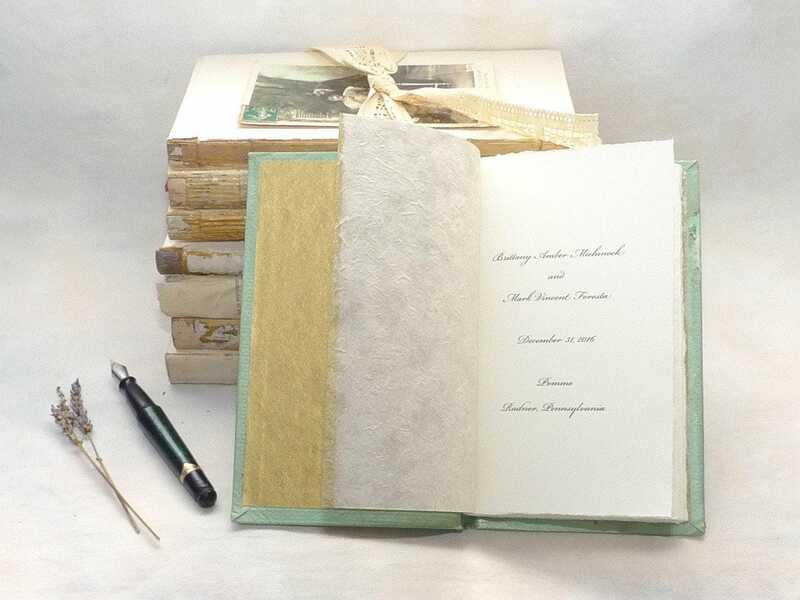 These heirloom quality blank books are perfect for once-in-a-lifetime events like a wedding or anniversary. Don't see what you want? Don't hesitate to contact me. 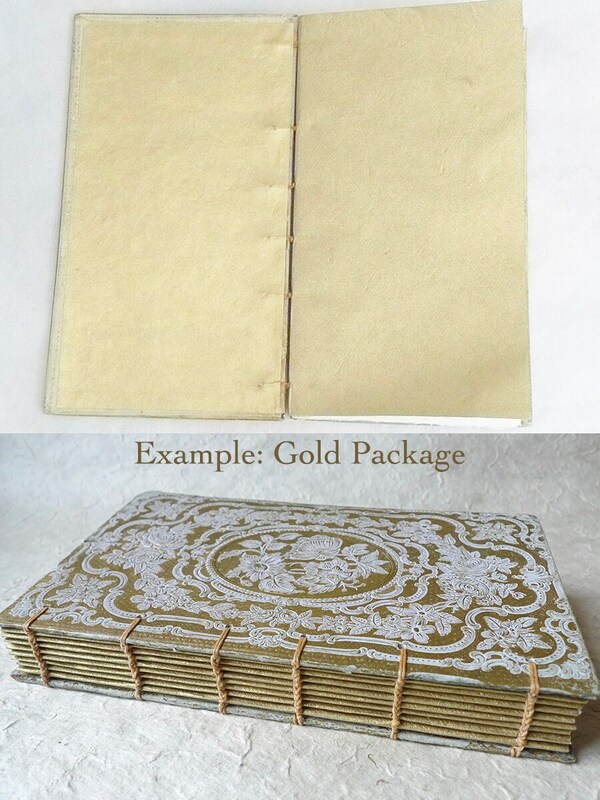 All Spellbinderie guestbooks are professionally bound using an exposed binding method that allows the book to open flat. 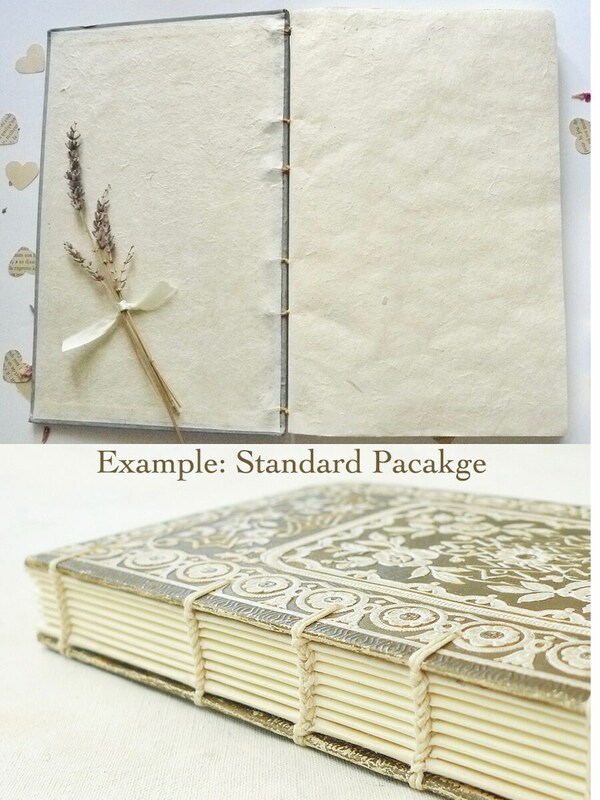 Comes with 120 hand torn ivory pages. See the suggested packages for pricing. 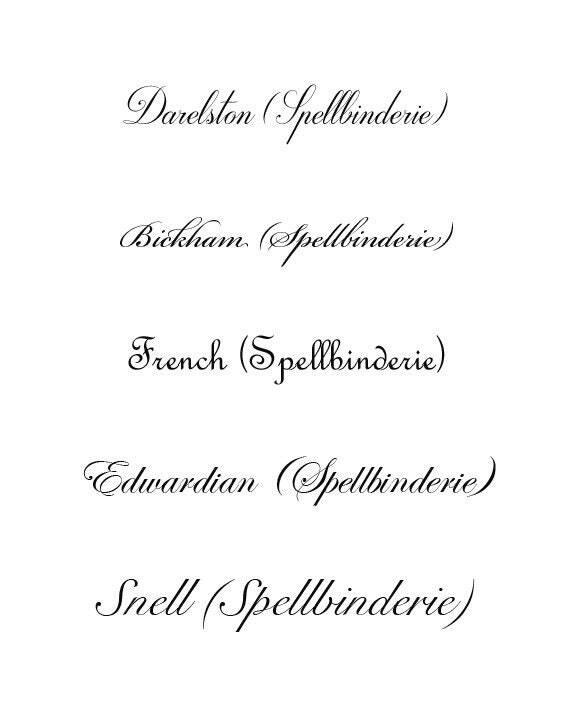 Other options available upon request. 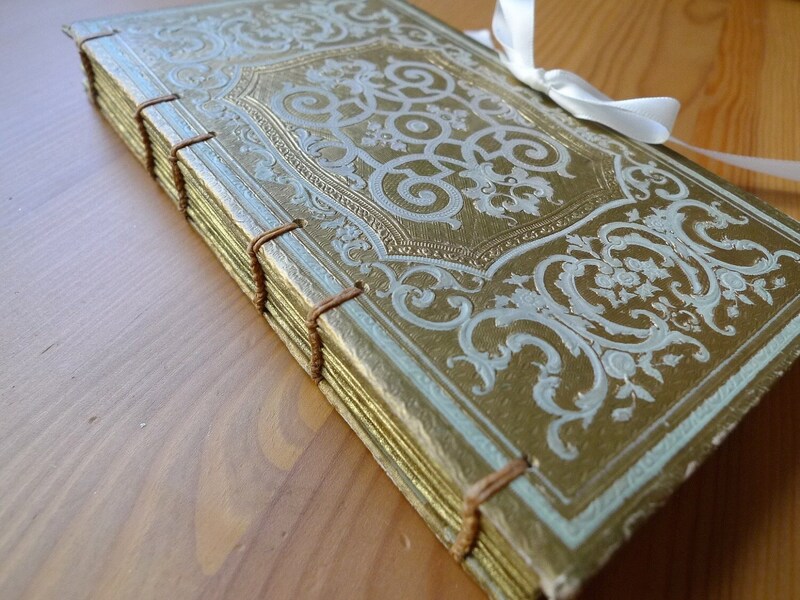 Please only purchase this listing if you've been in contact with me and have approved your book cover and processing time. Thank you! 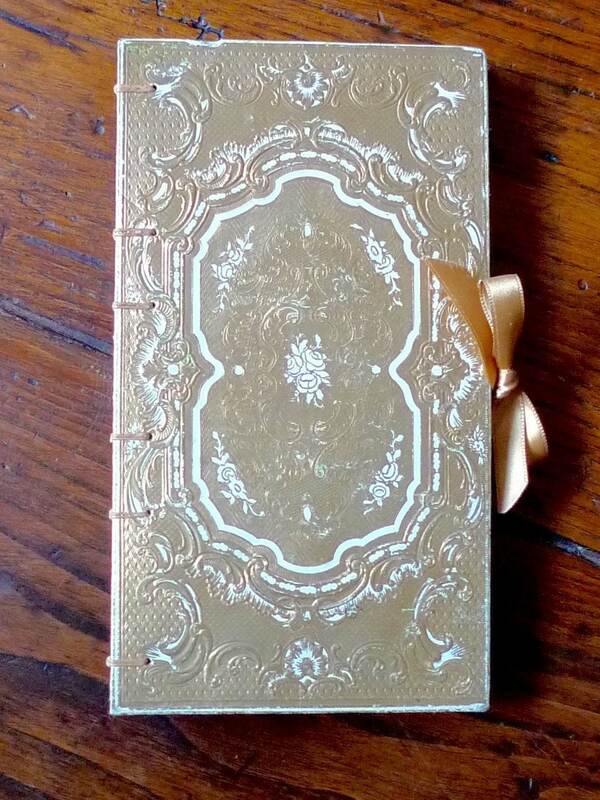 Purchased this item to use as guest registry for my daughters wedding and it is beautiful!